End User Experience Monitoring is important but not necessarily the only thing that APM must focus on and be measured by. Because so many key internal businesses processes are run by software – e.g., day-end reconciliation, backend order fulfilment, chargeback and inventory tracking, etc., – failure or slowdown of these services is business-affecting. So far, end-user response time has been regarded as the defining measure of an online businesses’ performance and thus the foundational APM requirement. But the performance of key business processes will ultimately affect user experience, so tracking these processes proactively and detecting issues before users are affected will grow as a primary requirement. Transaction tracing is important for rapid application performance problem diagnosis, but is not sufficient by itself for successful APM. Transaction tracing – i.e., the ability to watch a transaction through all its processing stages and determining which stage is responsible for slowdowns – is a key part of APM, so much so that in the recent years, transaction tracing and APM are virtually synonymous. While transaction tracing is a key for good APM, it is not the only requirement for APM. For example, if there is a slowdown of the backend database, all transactions will highlight slowness for database queries, but this is not very helpful in determining where a problem lies. Automating route cause analysis is outside of the purview of transaction tracing but it is a critical function, so must be addressed either separately, or better, holistically. Transaction visibility must be augmented with deep-dive visibility into every tier of the underlying infrastructure. Troubleshooting performance issues requires extensive expertise about each and every tier of the infrastructure. Enabling performance diagnosis to be accomplished easily and with minimal human intervention requires a great deal of automation. APM tools must augment user experience monitoring and transaction tracing with in-depth insights and domain expertise inside every layer and every tier of the infrastructure. Additionally, these tools should be easy to set up and use, to help remove potential barriers to adoption. 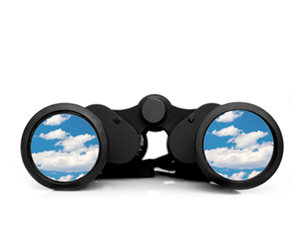 APM tools must become virtualization and cloud-aware. Virtualization and cloud computing cannot be looked at as yet another infrastructure silo. 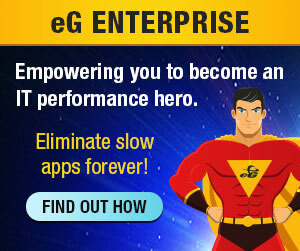 Performance issues in the virtualization or cloud computing tier affects application performance. Hence, APM tools must discover and correlate virtualization performance with that of the individual application component tiers. Organizations will move to collaborative management from silo management. Given the number of tiers that an application cuts across, it will no longer be practical to have individual administrators focus on just the tiers of the infrastructure they operate and control. For the application has to support the business well, the entire application operations team must function as a cohesive unit. Application performance issues will be correlated across the different tiers of the infrastructure so that problems can be resolved quickly. This requires unified and correlated visibility into the entire infrastructure, which APM tools will provide. Development and operations will standardize on the same tool sets so problems detected by operations can be rapidly remediated by the exact development or operations area from which a performance issue is originating. Visit APMDigest.com for the original story and other Application Performance Management news.